Targa Florio - I Say Ding Dong Shop - Buy Stickers, Decals & Unique Automobilia. BP Wins Again! Targa Florio. Art Banner. 18" x 25". BP Wins Again! Targa Florio. Art Banner. Special Offer to Clear. 26.5" x 37". 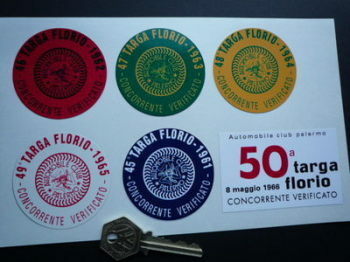 Targa Florio 60's Competing Verification Sticker. 1961-65. 2.25". 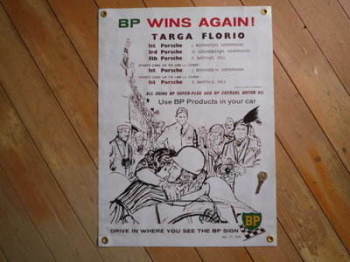 Targa Florio 60's Competing Verification Sticker. 1966. 3.25". 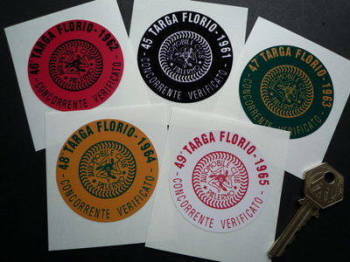 Targa Florio 60's Competing Verification Stickers. Set of 6. 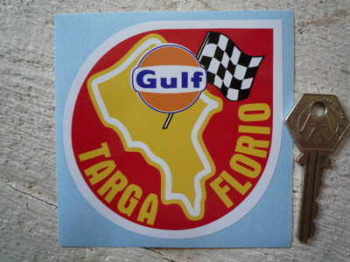 Targa Florio Race Circuit Gulf Sticker. 3.75".